Allan from the Monkey Tron Collective contacted me looking to source a logo for his brand. 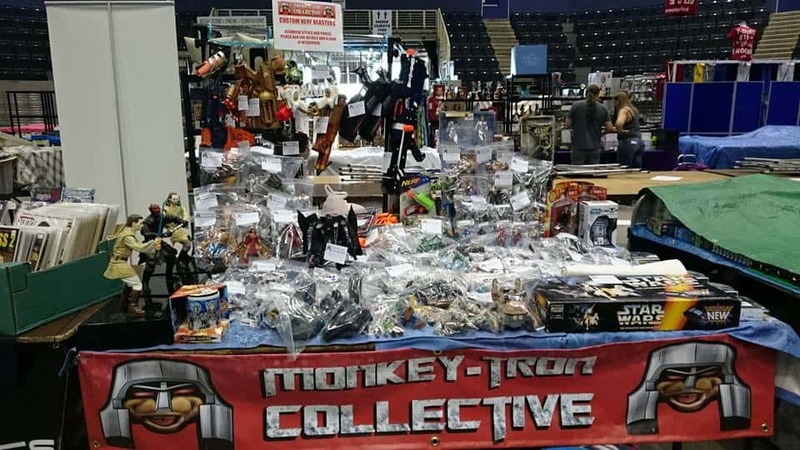 Allan is a very creative individual specialising in physical modifications of Nerf guns, costume props, cosplay costumes and more. I designed a few different logos for his new brand with his brief in mind. I then took this logo and type and worked it into a Facebook header, a banner design for print with a purpose to boldly advertise his brand at comic conventions and market stalls, I then made a selection of business cards and t-shirts. The design here is simple, bold and follows the clients colour scheme and theme. After releasing my Smartphone Media Production book Alan purchased a copy keen to learn more about media production. Like a duck to water he saw the value in putting that Smartphone he hid in his pocket to work and since reading the book has never looked back. The apprentice has now become the master. 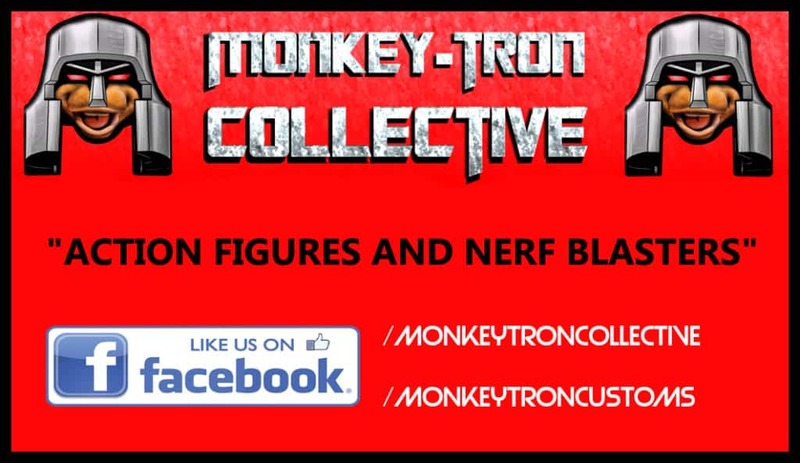 Monkeytron Collective regularly release Live streams, video recaps, Nerf tutorials and more and all with just his phone. NO PC, filming, editing and distribution all on the smartphone. 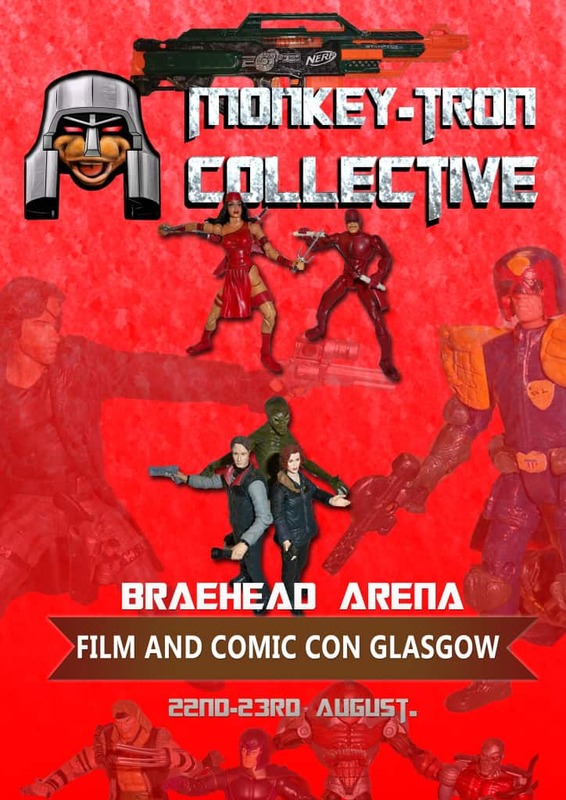 Check out Monkeytron Collective on Facebook, Youtube, and Instagram.